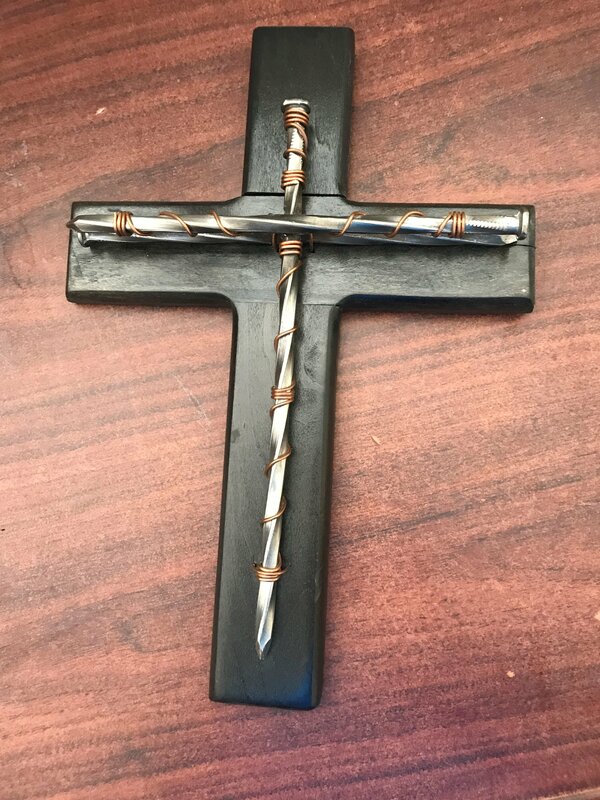 Our Specialty Crosses are original designs created by Teen Challenge students. Each cross is routered, sanded, stained by hand and protected with polyurethane for a one-of-a-kind piece you will enjoy for many years. Each specialty cross is ready to hang from a keyhole on the back. The color stain you select will be the primary color stain on your cross. The type of wood is dependent upon stock on hand. The Nail Cross features three spiraled nails that are polished, welded, and wrapped with copper wire. The nail cross is 9″x13″. Production and shipping may take up to three weeks for delivery.